its annual concert at Merkin Concert Hall, 129 West 67th Street, New York. 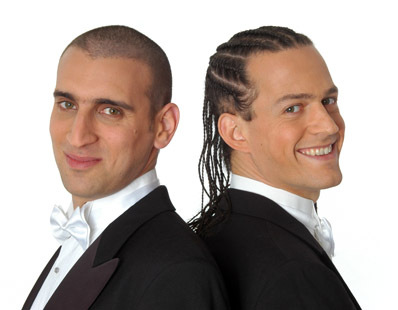 Aldema and Salomone Rossi, in English, Hebrew, Yiddish, French and Lugandan. This past January, during the winter while everyone was freezing and digging out of the snow in Boston, a beautiful concert of the music of Max Stern, who lives in Beersheva, Israel, was performed at the Hillel House at Boston University. Now here is Spring. Listen and watch to these recordings of that concert and Max Stern’s beautiful music. Enjoy! Music from Golijov’s The Dreams and Prayers of Isaac the Blind; Yulzari‘s Le Grand Méchant, l’Oud and Il était une Fois; Kaminsky‘s Duo for Cello and Piano; Cohen‘s Steal a Pencil for Me; Fine‘s A Short Alleluia; and Ladino songs by Neumann. Performed by Charles Neidich, Rémy Yulzari, Ilana Davidson, Laura Leon, Donna Breitzer, Nadav Lev, and artists from Mannes College The New School of Music. 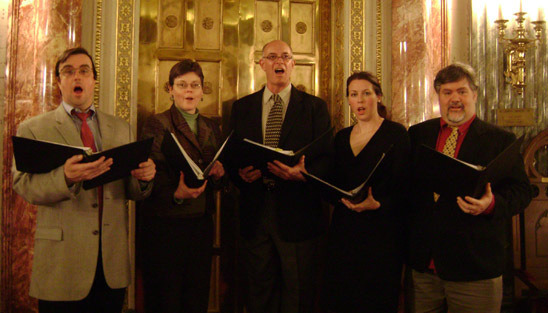 We want to be sure you know about the March 15 2015 deadline for submissions of music to Shalshelet’s 6th International Festival of New Jewish Liturgical Music which wlll take place in Philadelphia on December 13-15, 2015. Shalshelet Festival is interested in music of any style, composed by people of any age and background, that is a new setting of traditional/liturgical Jewish text. Lehrman on a libretto by the composer and Orel Odinov Protopopescu. 7pm at Hebrew Union College-Jewish Institute of Religion, 1 W. 4th St. Location: Mixed Greens, 531 West 26th Street, First Floor, New York, NY 10001. Tickets: Click here. For more info: Click here. An artist with creative block meets the ghost of his grandfather, a rabbi killed in the Holocaust. Polish-Jewish pianist and composer has released her complete piano works. *Date*: Saturday, April 6 at 8 PM. Shaarei Tikvah Congregation is located at 46 Fox Meadow Road, Scarsdale NY. Individual tickets are $30 at the door; $25 in advance; $15 for seniors and $10 for students. Please contact (914) 472-2013 or office@shaareitikvah.org. Anybody have the date of this concert? Regina Resnik presents Colors of the Diaspora. It’s a DVD collection with 3 distinct programs included, conceived and written by Michael Philip Davis. Ms. Resnik introduces and narrates the three concerts. Each is a distinct classical music art program, with the common thread of Jewish art music or music on Jewish themes. The DVD will make the perfect Hannukah present for someone who loves both classical music and Jewish music. The DVD can be obtained through Amazon.com VAI DVD 4540, but also can be ordered directly through Video Artists International, 109 Wheeler Ave., Pleasantville, NY 10570. Toll free number is 800-477-7146. Opera Star, Soprano Lauren Flanigan, and New York Philharmonic cellist, Eric Barltett. A one-act opera for soprano based on a play by Strindberg. An exciting work for cello and piano, played by Eric Bartlett, who commissioned the work from Weisgalll for his NYC recital debut. Sunday, December 2, 4:00-6:00 pm, Congregation Mishkan Tefila in Chestnut Hill, MA. Zamir’s Seventh Annual Open Sing. Again this year, the Open Sing will be held in conjunction with LimmudBoston, an annual celebration of Jewish learning. Singers from throughout the Greater Boston area are invited to join Zamir in singing excerpts from Handel’s Judas Maccabaeus and choral songs from Israel. Tickets are available at the door only: $10; $8 for students, seniors, or GBCC members. Free admission for LimmudBoston registrants, choral conductors, or conducting students. Funding provided by Phyllis Hammer. Join us as a singer or listener! 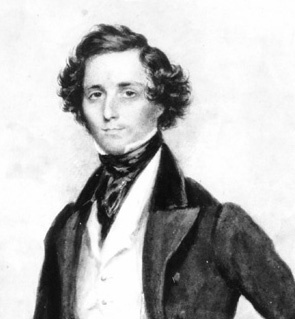 The Amernet String Quartet will perform “Music of the Jewish Diaspora” including four of Joseph Achron’s string quartets: “Scher”, “Mi Chomocho”, “Lullaby”, and “Stimmung”. These works were never published until recently — the Amernet will use advance copies of the Achron Society’s forthcoming edition of Achron’s music. The program will also include works of Shostakovich, Zhitomirski, Weinberg, Grunfeld and Haas. Misha Viteson, violin; Marcia Littley, violin; Michael Klotz, viola and Jason Calloway, cello. http://roulette.org/events/judith-berkson/ . The Vienna Rite is a new chamber opera by Judith Berkson that will be premiering for two nights in November at the Roulette. There are only two performances, November 2nd and 3rd 2012. “The Vienna Rite” is the story of a new service composed in 1828 by Viennese Cantor Salomon Sulzer in collaboration with Franz Schubert and other Viennese composers which sought to merge European music with synagogue chant. Ocean Calling I: Waves and Currents will be given its World Premiere performance on Sunday, October 7 – 3:00 PM at the University of South Carolina Recital Hall as part of the Cornelia Freeman Concert Series. (Marina Lomazov and Joseph Rackers). Other composers on the program will include Verdi, Mozart, Kevin McKee, John Fitz Rogers and Tayloe Harding. Visit the duo at http://www.lomazovrackers.com/. More about the October 7 performance at http://www.music.sc.edu/chamberseries/Septemberseries.html#CONCERT5. The School of Jewish Music at Hebrew College is pleased to present a Master Class led by Menachem Wiesenberg, one of Israel’s most acclaimed musicians. Composer, musician, pianist, and music educator, Mr. Wiesenberg will be on campus Wednesday, October 3 from 1:30-2:45pm to lead a master class featuring his vocal compositions as performed by students of the School of Jewish Music. This event is free and open to the public. selections from *The Sidor Belarsky Songbook*. in conjunction with the Judy Chicago Exhibition in Sacramento, CA. Ashbourne Music Publishing is a liturgical and secular publishing house specializing in Jewish music –“contemporary music anchored in Jewish tradition” –as their slogan indicates. The publishing house features the music of several outstanding composers including Charles Davidson, Temple Painter and Max Wohlberg. The website offers access to information about the composers, and the music via CDs, DVDs, scores and books and articles. Featured are music for chorus, wedding music, solo voice and musical dramas. Also published are several important volumes of cantorial music, which have been endorsed by some of the most famous cantorial authorities in America. Living Breathing Earth, a new CD of orchestral music by Meira Warshauer has been released on the Navona Records label (NV5842). Featured works are her Symphony No.1: Living Breathing Earth and Tekeeyah (a call), concerto for shofar, trombone and orchestra with soloist Haim Avitsur. Performances are by the Moravian Philharmonic, Petr Vronsky, conductor. In addition to a printed booklet with program notes, the CD contains an enhanced section with study scores, a digital booklet, Aileen LeBlanc’s profile of the symphony for PRI’s Living on Earth, and many other special features. More about the new disk at http://www.meirawarshauer.com/NEW/pages/breathing_earth.html and http://navonarecords.com/. Centro Primo Levi and the Museum of Jewish Heritage host Divinamente NYC Festival on the 150th Anniversary of the unification of Italy. Welcome remarks by the Consul General of Italy Francesco M. Talò and the Representative for International Affairs of the Jewish Community of Rome Giacomo Moscati. The premiere of Gerald Cohen’s new one-act opera, SEED, written with the superb librettist David Simpatico, will be on Thursday June 2, at 7 p.m. at Symphony Space in NYC. It will be presented along with three other one-act operas by Cohen’s colleagues in American Lyric Theater’s Composer Librettist Development Program, where he has been a resident artist for the past year. SEED will be sung by three outstanding performers: mezzo Sarah Heltzel, tenor Glenn Seven Allen, and baritone Christopher Burchett. World Premiere oratorio, A Melancholy Beauty! Concert “eSACHERe” is held under the auspices of the Embassy of Switzerland and as part of the 9th Annual Daniel Pearl World Music Days. Flute, Cello and Piano by Philippe Gaubert. Israeli-American violinist Yuval Waldman will be giving a solo recital of “Music Forgotten and Remembered” at New York’s Merkin Concert Hall on Tuesday March 29, 2011, at 8 PM. The program presents rarely performed gems composed by Eastern European Jews, many of whom perished during World War II or were silenced by Soviet repression. All are invited to celebrate the music of Jack Gottlieb in honor of the composer’s 80th birthday. Several of Mr. Gottlieb’s compositions were commissioned for Emanu-El and have been part of the Temple’s musical repertoire. At the Friday evening service, Cantor Lori Corrsin will be joined on the bimah by the Temple Emanu-El Choir, conducted by K. Scott Warren and accompanied by guest organist Andrew Henderson. February featuring the Yiddish song repertoire. Monday, February 14th, 7.30 p.m.
2010 by Richard Hereld. It’s a Yiddish song cycle and published by Transcontinental Music. USDAN CENTER STUDENTS TO PRESENT UNIQUE GALA PERFORMANCE OF ERNEST BLOCH’S SACRED SERVICE ON AUGUST 4TH. CONCERT WILL HONOR BLOCH 50 YEARS AFTER HIS DEATH. CONDUCTOR AND SOLOIST ARE LEADING YOUNG ARTISTS. Service (Avodath Hakodesh) for orchestra, chorus, and baritone soloist. for its partner organization, UJA-Federation of New York. The Detroit Symphony Orchestra under the direction of Leonard Slatkin will give the premiere performance of the Clarinet Klezmer Concerto, by Wlad Marhulets. 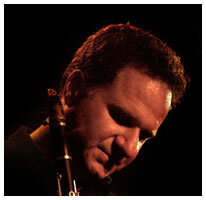 The featured clarinet soloist is David Krakauer, one of the foremost musicians of the vital new wave of klezmer. The concerts will take place at the Orchestra Hall in Detroit on December 10th – 13th, 2009. The string quartet Dybbuk by Wlad Marhulet was written for the New York based “J.A.C.K.” quartet. The piece is inspired by Jewish folklore, in which a Dybbuk is a malicious possessing spirit, believed to be the dislocated soul of a dead person. The piece depicts two aspects of Dybbuk – its wild and aggressive nature, as well as its memories from the past life full of suffering and tears. The premiere is going to take place November 30th at 8:00pm. 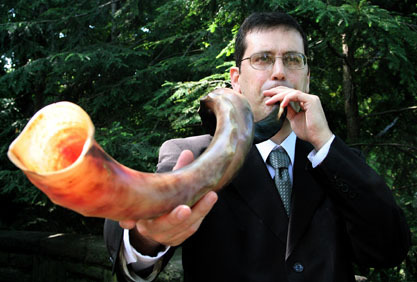 Shofar/trombone virtuoso Haim Avitsur will be soloist at both performances. at Lefrak Concert Hall at Queens College. Bettina Blake, and Benjamin J.R. Stolper, among others. will perform at the Stephen Wise Free Synagogue (30 West 68th Street, NYC). 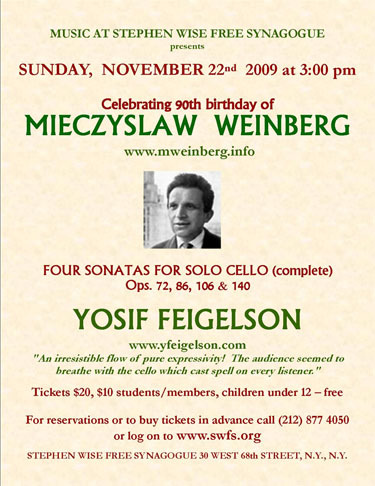 The concert will feature four Cello Sonatas of composer Mieczyslaw (Moishe) Weinberg (1919-1996). Tickets and more information are available at the website: www.swfs.org or by phone at: (212) 877-4050.
concerti as well as music to many movies including famous “The Cranes Are Flying”. The internationally renowned cellist Ralph Kirshbaum honors the memory of his late teacher Lev Aronson (1912-1988), a Holocaust survivor who played for many years with the Dallas Symphony Orchestra, with a rare New York recital. Mr. Kirshbaum will perform compositions by Aronson as well as works by some of the artists who influenced him. 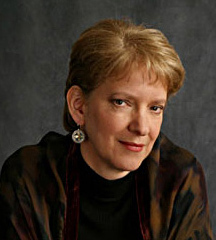 The program will also feature a reading by author Frances Brent from her critically acclaimed new book, The Lost Cellos of Lev Aronson (Atlas & Co.). Making its U.S. debut, Amsterdam’s Apollo Ensemble performs a concert of Baroque Jewish musical treasures, one night only, at the Kennedy Center. A highlight is the American premiere of Dio, Clemenza e Rigore, an anonymously composed oratorio for an eighteenth-century Italian Jewish holiday synagogue service. Don’t miss this rarely performed work. This concert is presented by Pro Musica Hebraica, devoted to presenting Jewish classical music, much of it believed lost, forgotten, or rarely performed, in a concert hall setting. 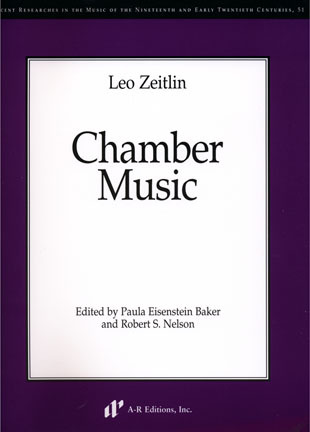 The music world involved in the revival of Jewish national music or recovery of early twentieth century art music of the first order will be dazzled by the new critical edition of Leo Zeitlin’s Chamber Music published by AR Editions, and edited by musicologist and professors Paula Eisenstein Baker and Robert S. Nelson. Texts are presented in original Yiddish, Hebrew, transliterations and English translation. But who was Leo Zeitlin? It’s not a name in currency today, but is likely to be more familiar now that musicians will have a chance to perform this music, and it is highly recommended that college and university libraries purchase the volume. All but two of the selections are class art pieces based on Jewish themes. “Music in Our Time,” the annual concert of Jewish music by contemporary composers, presented by the American Society for Jewish Music in association with the American Jewish Historical Society, will be given on Sunday, June 7th at 3 PM at the Center for Jewish History (15 West 16th Street, NYC). Feel the beat of today’s young Israel in PercaDu‘s performance of Avner Dorman‘s percussion concerto Spices, Perfumes, Toxins! Don’t miss Adi Morag, Tomer Yarivm, Zubin Mehta, and the Philharmonic on this night of exhilarating music-making. A Hear and Now Performance. on Friday, February 27, 8:15 PM. organ at a synagogue in Queens. 718-961-0030 or visit www.freesynagogue.org for more information. his actual birthday, exactly 200 years ago! Tickets are $20/$10 students and members. Children under 12 free. Pro Musica Hebraica is devoted to presenting Jewish classical music — much of it lost, forgotten, or rarely performed — in a concert-hall setting. On November 18, 2008, the ARC Ensemble of Canada’s Royal Conservatory of Music presents works by Mieczysław Weinberg, Szymon Laks, and Sergei Prokofiev all composed in the aftermath of world war. Li-Paz will take the roles of God and Abraham; Jonathan Zur is Isaac. Lawrence Goldberg, the composer, will conduct. and the story of the Akedah, and its impact on world religions. Visit the Israeli Musicological Society new website. It also has the online journal Min-Ad which has many interesting articles. The archives of the journal is also available online. Miami Beach. For more information, visit www.bassmuseum.org. City. For more information visit www.cassattquartet.com. composes on Jewish topics, visit www.judithshatin.com. Byham Theater, 101 6th St.
Arkadie Kougell, Ofer Ben-Amots, Lionel Semiatin and Paul Schonfield. Saturday, May 3, 7pm at Stephen Wise Free Synagogue. purchesed at the door, by calling 212-567-3283 or at http://www.operabrooklyn.com. Free to Stephen Wise Free Synagogue (SWFS) Members. Sunday, May 4 at 3 p.m.
Minnesota Center Chorale. The premiere performance will be conducted by J. Michele Edwards. on May 4, at 3:00 p.m.
Jim Loeffler announces the news that the Pro Musica Hebraica will launch their inaugural concert. as a homage in memory of the Holocaust. This event will take place at the Conservatory of Milan contemporaneously with the inauguration of the Holocaust Museum situated in the railway station. of Milan, Italy. concentration camp and the only survivor of his group. He is recalled for having save a great number of Jews, and received military decorations several times. New York Debut at the Kaufman Center’s Merkin Concert Hall (129 West 67th Street). by Chamber Ensemble (Flute, Bass Clarinet, Horn, Cello and Percussion). faculty from the School of Music Tennessee Tech University.